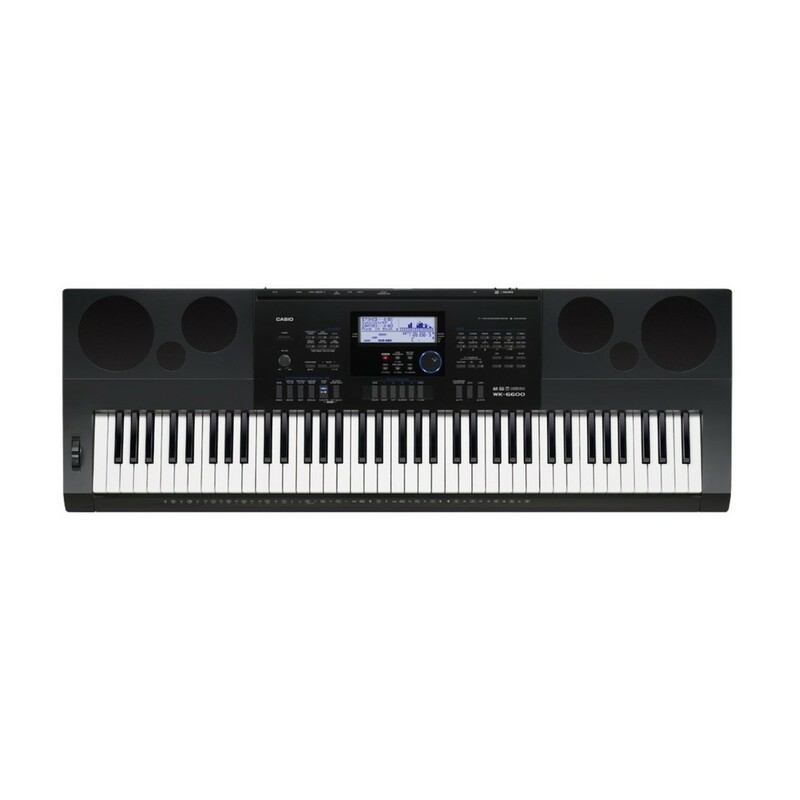 The Casio WK-6600 Portable Keyboard, Black is ideal for student musicians looking for a user-friendly, portable instrument. The WK-6600 features 76 standard size keys, which is ideal for students who don't require a full board. A great additional feature is the built-in mixer console for mixing the volume, pan effects and other parameters. This is perfect for the versatile musician looking for a range of effects. The keyboard also features 100 DSP effects - users can store up to 100 customized DSP variations and activate 150 different types of arpeggiator at the touch of a button. 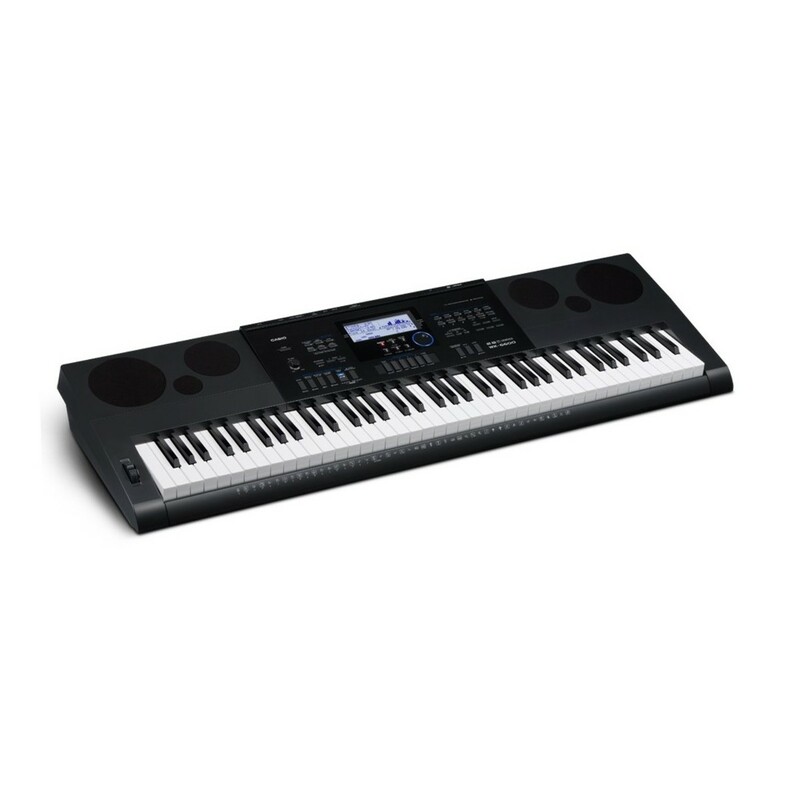 The Casio WK-6600 keyboard gives you AHL sounds that sound better than ever. The 48 max polyphony means beginners have plenty of margin to play without notes dropping out when layered. 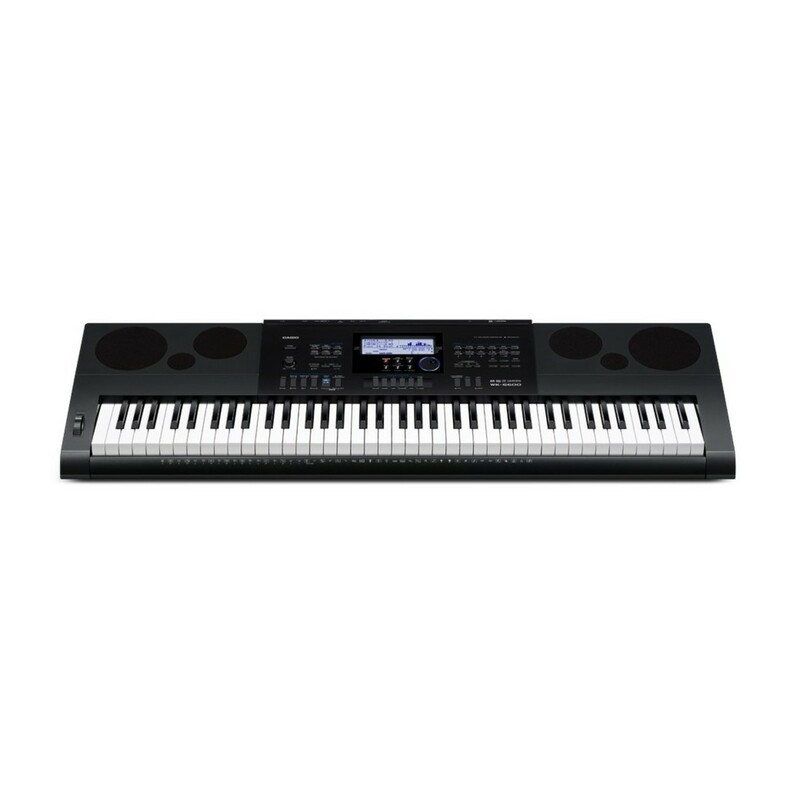 The keyboard itself is easy to play and closely resembles an acoustic piano thanks to the touch response which means the player can add subtle nuances by varying the pressure applied to the keys. Add to this digital effects such as a great reverb for depth and richness, and the WK-6600 has all you need to play great sounding music. Casio's Step Up Lesson feature is ideal for beginners wanting to master full songs and see real progress. The technique breaks songs up into shorter phrases providing the support early players need to develop. Simply listen to the song, watch the screen or lightning keys and then try and play the tune from memory. By mastering each little bit in this way, the full song won't be far behind! TThe Casio WK-6600 comes with 210 preset accompaniments from a variety of different genres. Choose from rock, pop, jazz, Latin, Bossa, country, swing and more, turn on the “Auto Accompaniment” feature, and play away! The audio accompaniment has five different modes to choose from: CASIO Chord, Fingered 1, Fingered 2 (6th off), Fingered 3 (on bass) and Full Range Chord. The 210 preset accompaniments are completely customisable using Casio’s tone and rhythm editor. Slow down or speed up the tempo, transpose the key or play with the pitch to make each and every accompaniment your own.